An auto crash victim turns up in the hospital with £50,000 worth of diamonds in his stomach. He was an employee of the Litoff Organization, one of the world's great financial empires, which is mysteriously in the process of converting all of its assets into cash. While Steed is busy making himself a pest at the Litoff Organization, Cathy is snooping around a pet cemetery. Dark and nearly humorless, this so-so episode might have fared a bit better had it not been plagued with technical difficulties, including a lot of mumbled dialog, several badly fluffed lines, and a prop that wouldn't work. Later remade as "The £50,000 Breakfast," a brighter, more stylish version, although it was not without its flaws as well. 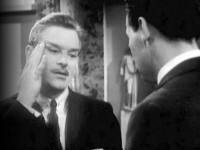 Mark H. Stevens notes that this episode is remarkably similar to an episode of The Saint called "The Invisible Millionaire", which indicates in the credits that it is based on a story by Leslie Charteris, who wrote most of The Saint stories prior to 1950. The plot goes like this: A millionaire and his assistant (who is romancing the millionaire's wife) are in a car crash; the assistant is killed and the millionaire is badly burned such that his entire face is covered with bandages. He suddenly starts liquidating his estate. The Saint reveals that the millionaire was the one killed and that his wife, assistant and physician maintained the illusion that the millionaire was alive long enough to liquidate his estate and make off with the cash. Sound familiar? 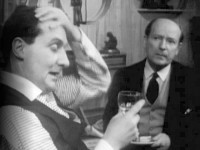 Some scenes were pre-recorded on 31 October 1962 in advance of the main recording.